Posted on Friday, December 3rd, 2010 at 12:37 pm. 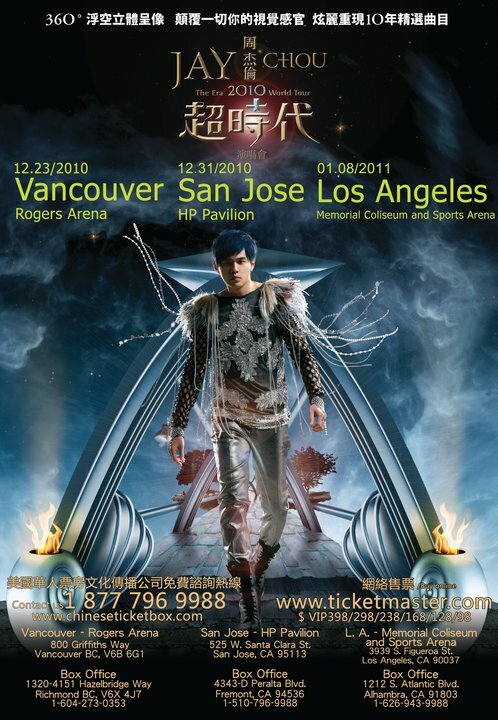 Fan of Taiwanese pop star Jay Chou? Mike Price, the founder of a new social networking site, ThinkTaiwan.com, is giving away a FREE front row ticket to the Jay Chou Concert in San Jose California on New Year’s Eve, December 31st, 2010. You’ll have to do a couple things after you check out the website – register an account, create or join a group, and send some suggestions to improve the site. From the top 3 entries of best suggestions, he’ll randomly draw the winner for the concert. The contest ends on December 10th!